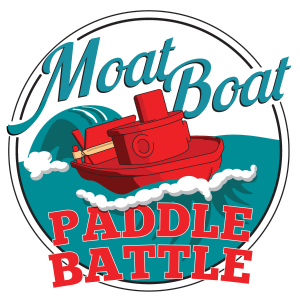 Moat Boat Paddle Battle Prizes Announced! We know you’ve been waiting – and here’s the announcement! Awesome prizes abound for the winners of the Moat Boat Paddle Battle – have you entered yet? If not, enter here! Remember, we can’t accept walkups the day of the event – you MUST pre-register! Both Youth Category (Youth Closed 12 and Under and Youth Closed 13 to 18) winners will receive a SeeMeCNC Orion Delta Printer – with a heated build surface, multi-material capability, and stand-alone printing functionality! If you’ve signed up for more adventures on the “high seas” with the Open Class, your prize offers more adventure as well! The winner of the Open Class will receive a SeeMeCNC Rostock Max kit for at-home build fun! The Moat Boat Paddle Battle is brought to you (and Maker Faire Bay Area) by the awesome folks at SeeMeCNC, Make and of course Ocean State Maker Mill! ← Moat Boat Paddle Battle!